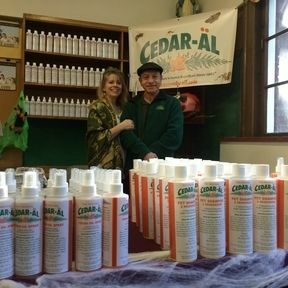 We pride ourselves in that we give customers another choice, a safer alternative, rather than one with long term risks in comparison to systemic risky topical flea treatments and DEET products. 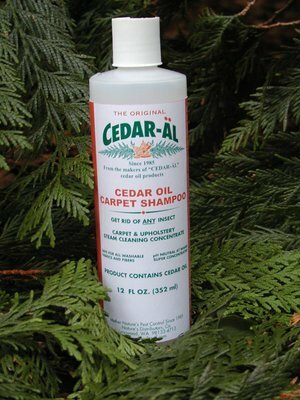 If there is any concern about Phenols in our products, let us reassure you when the cedar oil is extracted from the cedar tree it is screened, tested, refined and purified. 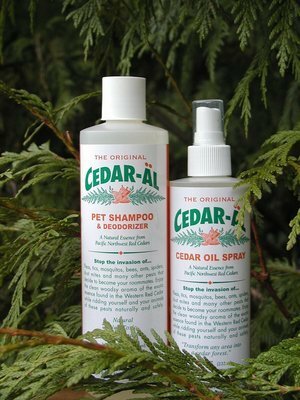 It is then further diluted with 100% distilled water for the cedar oil, you won't find that process anywhere else, so that it stays in liquid form, no additives or chemicals are added, any purer it would be in a petrified state, the cedar oil is further blended with the natural ingredients for our pet shampoo. Overall, our drinking water has more phenol than any trace amount, parts per millions per millions, if there were, in our products. NOTE: MISUSE OF THIS PRODUCT MAY CAUSE PEOPLE AND ANIMALS TO COUGH. 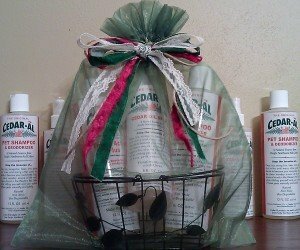 PLEASE READ THE SAFETY INFORMATION ABOUT CEDAR OIL BELOW AND FOLLOW THE APPLICATION INSTRUCTIONS. 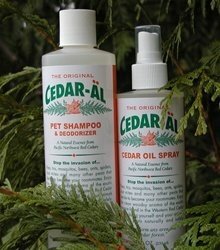 CEDAR OIL IS NOT TO BE SPRAYED ON CATS NEITHER DIRECTLY OR INDIRECTLY (meaning not even applying with a cloth). 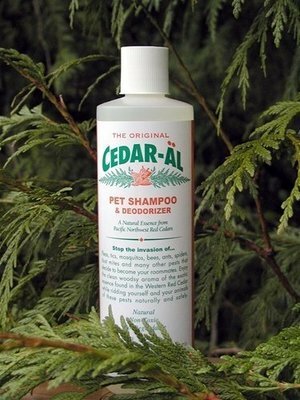 Cedar Oil Pet Shampoo is to be used on cat’s exclusively, the cedar oil spray is ONLY to be used to treat their bedding and areas where they sleep and our carpet shampoo used to treat the home in which they live. 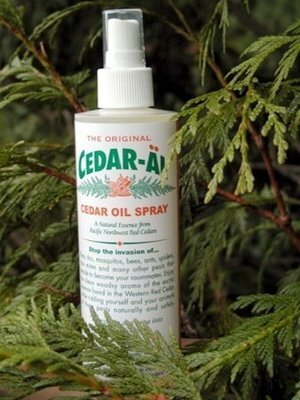 ALTHOUGH ALLERGIC REACTIONS ARE RARE, WE RECOMMEND THAT YOU SPRAYED A VERY SMALL AMOUNT OF THE CEDAR OIL ON A CLOTH AND APPLY IT TO A SMALL AREA OF YOUR PET, PREFERABLY AWAY FROM THE NOSE AND MOUTH, TO TEST FOR A REACTION.